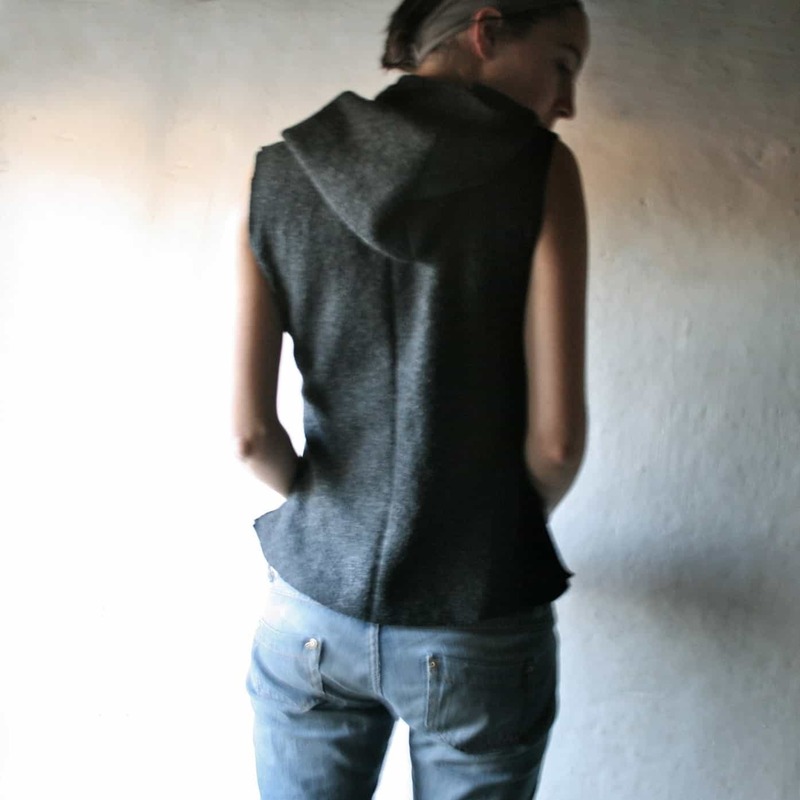 This sleeveless hooded vest is made with a 100% virgin wool from Germany, and it is extremely warm. 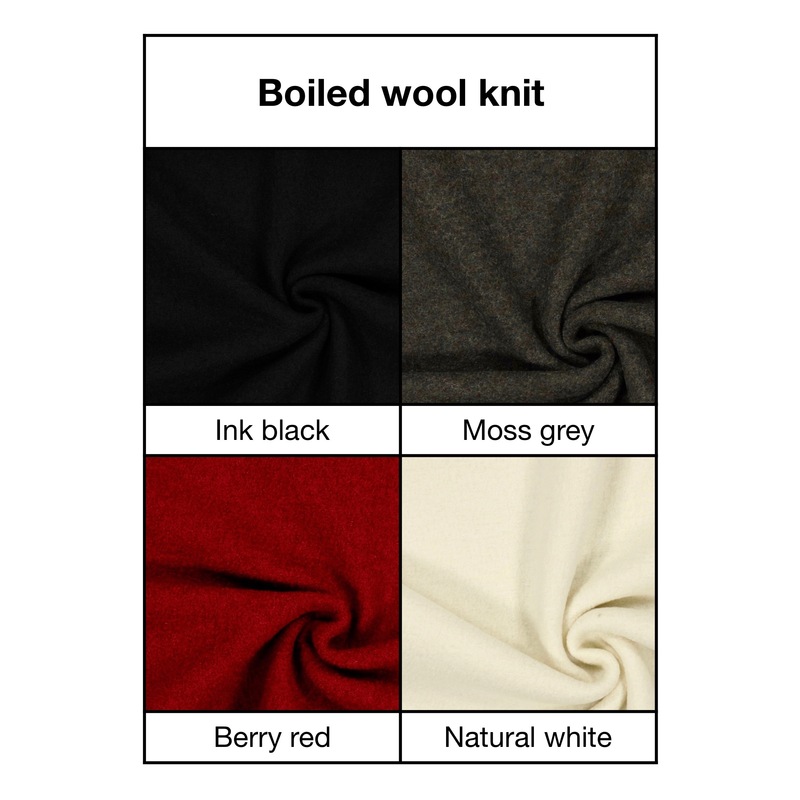 The fabric is available in four different color options. 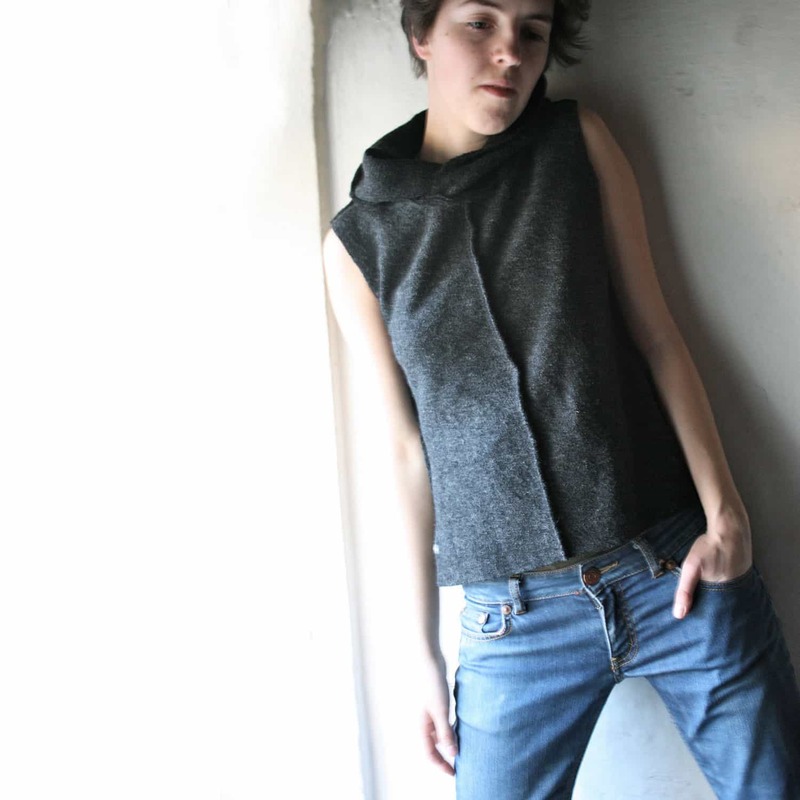 This sleeveless hooded vest is made with a 100% virgin wool from Germany, and it is extremely warm. 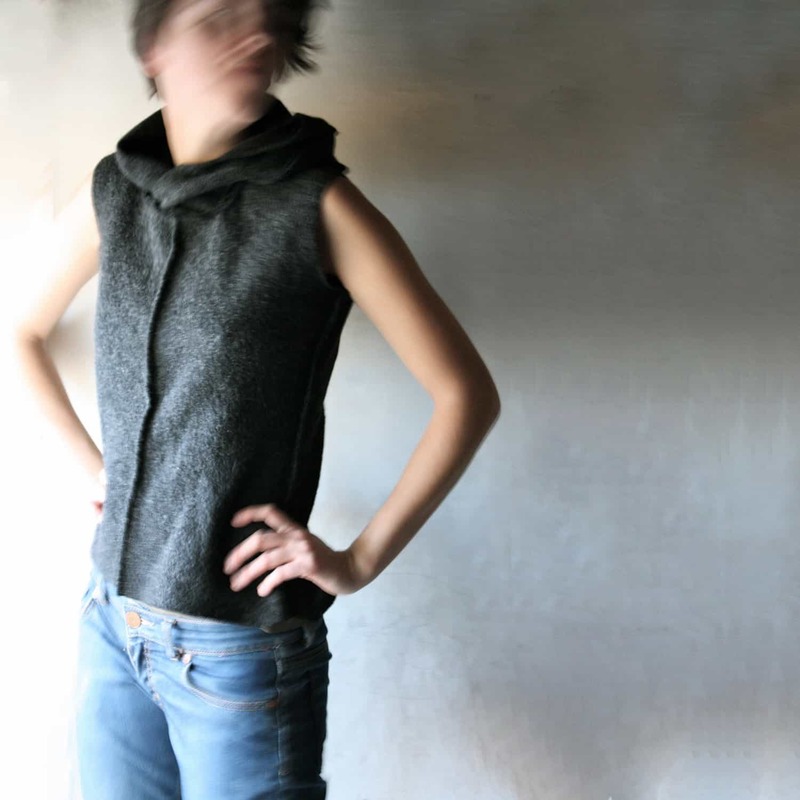 The fabric is available in four different color options, and being a knit it has some stretch and is very comfortable. 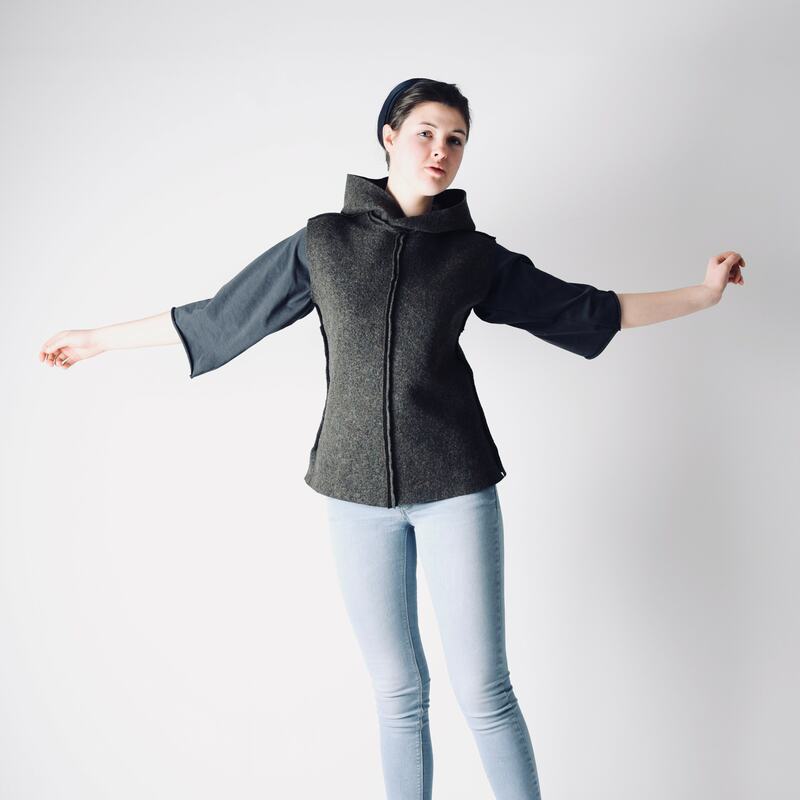 It will feel like a second skin, uniting the exceptional insulating and breathability qualities of natural wool. 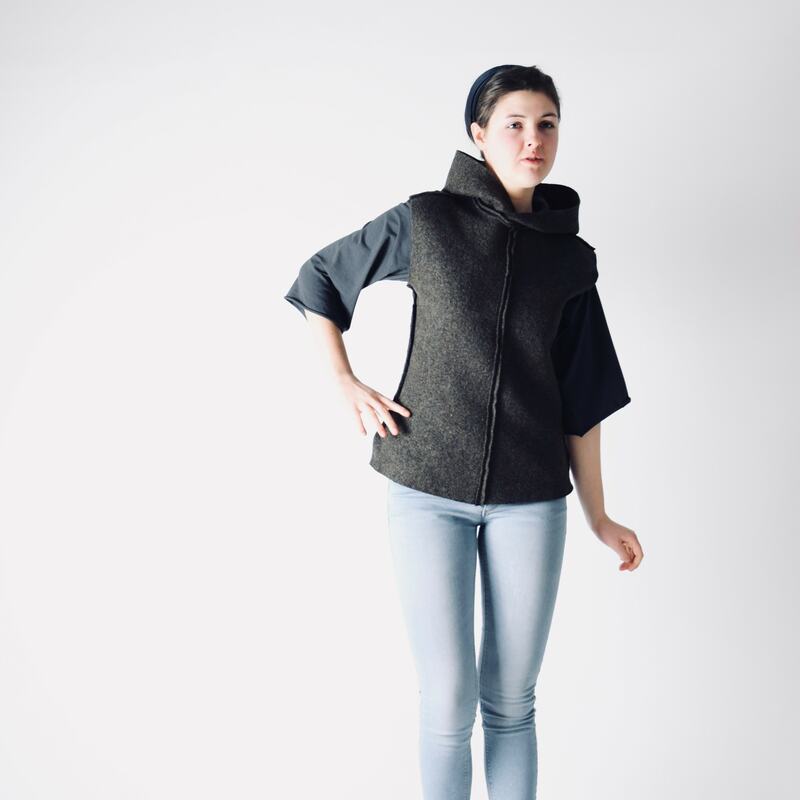 Sleeveless, with a boxy cut and a cozy hoodie, it is perfect for layering and features exposed seams and a detail seam running down the center front. 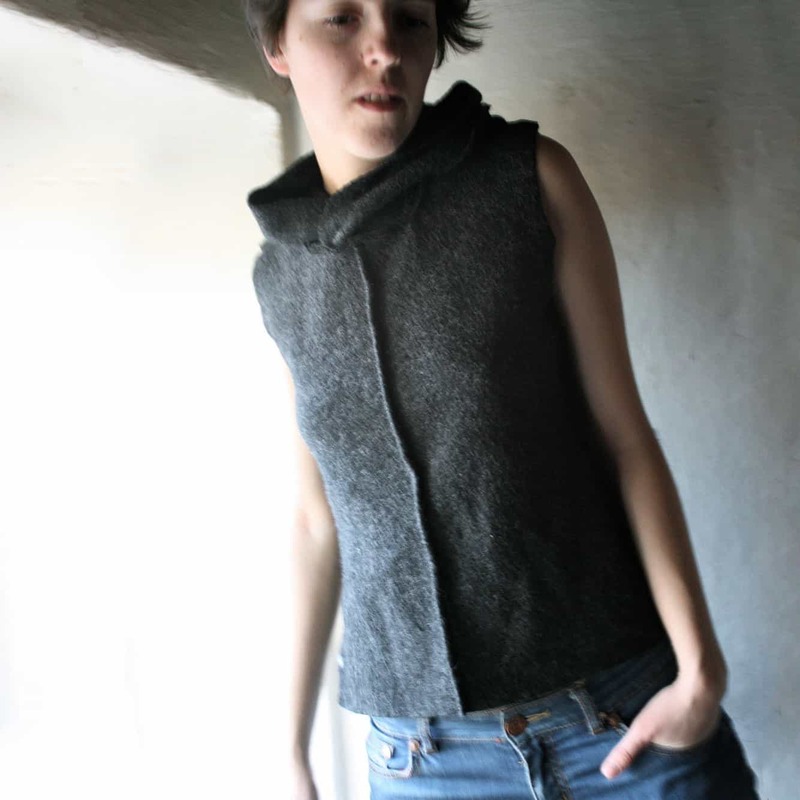 Pictured in Moss grey, size S.
100% felted wool knit from Germany. 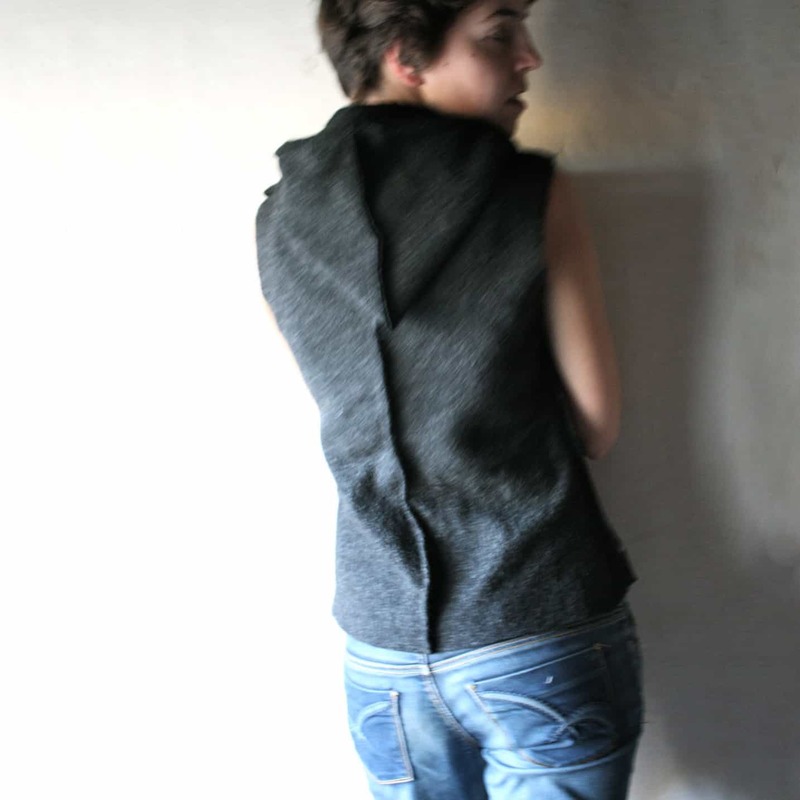 I love this unique and cool vest. I provided my measurements and it fits perfectly. 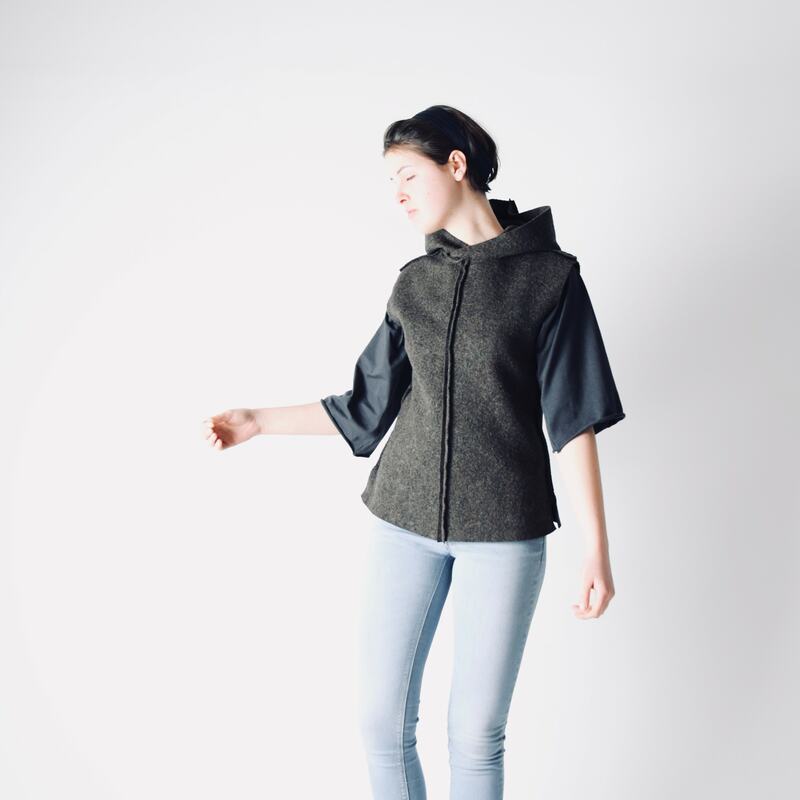 Love that I can have a piece from an independent designer available to me across the globe. Really beautifully made, gorgeous colour, just what I wanted. Thanks Lucia!